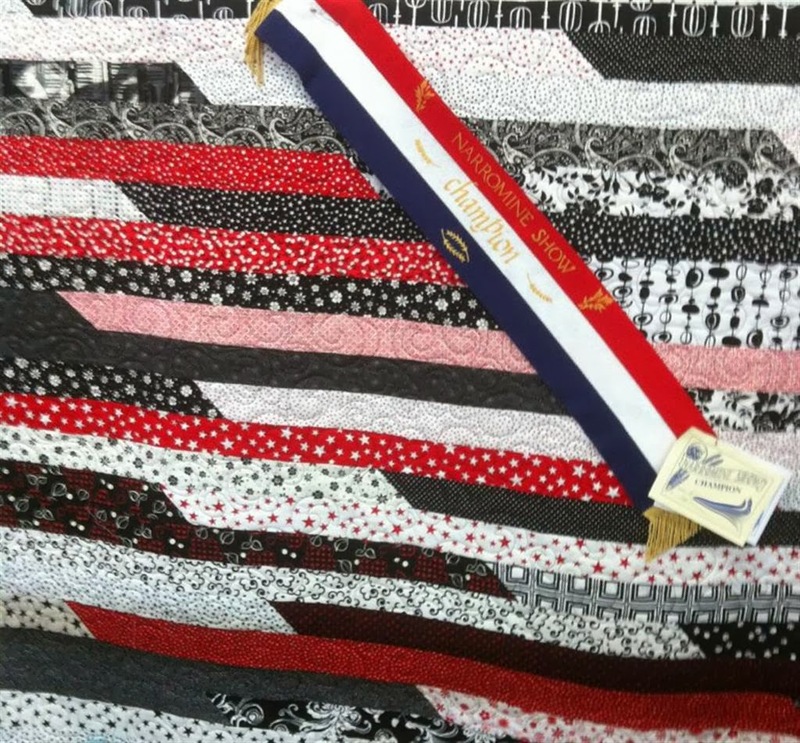 This jelly roll race quilt was made by Miss 14 from a very special jelly roll that had belonged to my Aunty Linda. 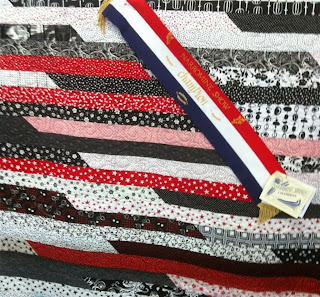 She was delighted that it earnt her a champion ribbon at the local show recently which certainly made the very late night beforehand when she was madly stitching the binding down worth the rush. Miss 14 has done a good job, i like the quilt much.